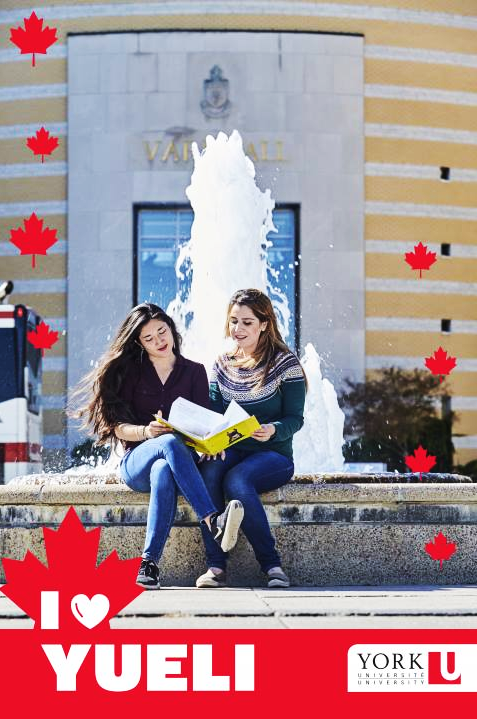 Get started on your degree while you improve your English to meet the York University entry requirements! Students accepted into the YUBridge program receive a conditional offer of acceptance to York University. This program combines 25 hours per week of instruction which includes Academic English classes, language support, tutorials and lectures with for-credit courses in Liberal Arts, Science, Health, Lassonde School of Engineering, and School of the Arts, Media, Performance and Design. In 8 months, you’ll be speaking and writing at an IELTS 6.5 level — the minimum requirement for full admission to York University. While improving your IELTS level, you will also take one 3-credit course in the first term. Upon successful completion of the language requirements in Term 1, you may be eligible to enrol in one or two 3-credit courses in your second semester, meaning that you could earn 9 credits of your undergraduate degree by the end of this program. Once you start in the YUBridge program, you are considered an undergraduate student at York. You will take the same courses as fully admitted York students, helping to build relationships with the students and staff in your Faculty. Your tutorial leaders are chosen specifically for their experience working with international students, and academic tutorials are taught separately, so class sizes remain small. This structure also enables the English language course content to be tailored to the undergraduate area you’re studying, making YUBridge classroom activities highly relevant to your future studies. E-mail account, Internet and library access are supplied. YUBridge students will be expected to purchase textbooks for each of their academic credit courses. Accommodation in homestay and on-campus York University residence is available. Tuition cost includes Tuition Fee ESL, York Credit Courses (6 credits). Health Insurance (Emergency Medical coverage) is available for an additional cost of $350.00. YUBridge students will be expected to purchase textbooks for each of their academic credit courses. Upon reaching IELTS 6.0 by the end of Semester One, Students may choose to do an extra three credits in Semester Two for the additional cost of $1,700.00. If you are interested in residence or homestay accommodation, please contact the English Language Institute.